Managed IT Services support and optimize your office network. As your Managed Services Provider, itSynergy in Phoenix will set up your company with a fixed monthly management plan that is right for the size and needs of your company. itSynergy has the capability to remotely resolve many problems and remove worry over technology from your staff and general operations. The biggest issues with IT maintenance and issue recovery are time and risk. By transferring the risk to itSynergy, you are ensuring faster recovery time in which your system is made available again. Turning to a company for managed IT services like itSynergy has many advantages to help you achieve your business objectives. The pace of change in IT is unpredictable and a Managed IT provider is always aware of the latest innovations. Through Managed IT Services, SMBs are able to take part in such benefits at a significantly reduced cost and have access to the wealth of experience that an MSP builds from actively managing many client accounts at one time. Security is another great benefit when it comes to Managed IT Services. itSynergy has tested and proven security policies that work hand-in-hand with your specific security needs. When choosing itSynergy as your Managed Services Provider, our efforts will give your company nearly zero downtime and fewer glitches, helping you continue to build your business and increase your ROI. Reduced compliance risk is a key component with Managed IT Services Providers. itSynergy will review assessment findings and work with your managers to identify compliance solutions, streamline your technology budgeting and build a plan for executive review and action. When utilizing a Managed IT Services Provider like itSynergy, we manage a lot of this risk for you, leaning on our industry knowledge and trusted standards that have been perfected through many years of use. itSynergy is your trusted Managed IT Provider in the Phoenix area. 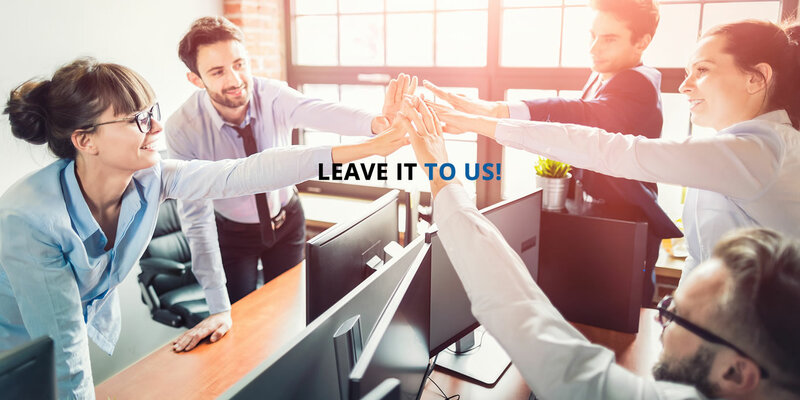 By choosing itSynergy your company is able to free up staff by resolving minor IT issues, keeping pace with the demands of IT, and shifting your burden of compliance. We have also enacted many security policies to keep your sensitive data safe and secure without you having to worry! Let itSynergy be your Managed IT Services Provider. Call today!